The New Orleans Saints had the toughest test to get past during Wildcard Weekend. Yes, they had beaten the Carolina Panthers twice already. But the Panthers came in with revenge on their minds and a very good defense. The question was whether they could muster enough offense against the Saints defense to win. While the Panthers did limit the Saints run game to just 41-net yards, Drew Brees lit the Carolina secondary up for 376 yards and a pair of touchdowns. But it was still the defense that had to come to the rescue for New Orleans. Carolina didn’t muster much of a run game (107 total yards), but Cam Newton was able to throw for 349 yards and a pair of touchdowns. He had them in position to potentially retake the lead from the Saints late in the game. To avoid a sack, Newton tried to throw the ball away but was called for intentional grounding. After an incomplete pass, it came down to a fourth and 23-play from the Saints 34-yard line with 11 seconds left. But the Saints fourth sack of the game ended the threat and secured the win, 26-19. So, now they get a chance to avenge their season-opening loss to the Minnesota Vikings in next Sunday’s NFC Divisional Round game (4:40 PM ET). Minnesota won 29-19, but since then, both teams have changed a lot. Sam Bradford and Dalvin Cook are not playing for the Vikings. Instead, it is Case Keenum, Latavius Murray, and Jerick McKinnon. Adrian Peterson tied for the team lead in rushing that game and Alvin Kamara had yet to break out. But Peterson finished the season in Arizona and Kamara became an offensive rookie of the year candidate. Neither team is anything like the one that played in Week One. So—who’s going to win? The Saints proved on Sunday that they can still pass the ball to win when they need to. Carolina’s strength was stopping the run, and they did. But Drew Brees was able to tear up the Panthers 18th ranked pass defense with relative ease. It will not be as easy against the Minnesota Vikings. The Vikings defense ranks first in total yards allowed (275.9/game) and second in passing yards allowed (170/game), rushing yards allowed (83.6/game), and points allowed (16.8/game). There is no obvious weakness for the Saints to exploit. New Orleans is going to have to create plays and they have a great cast with which to do so. 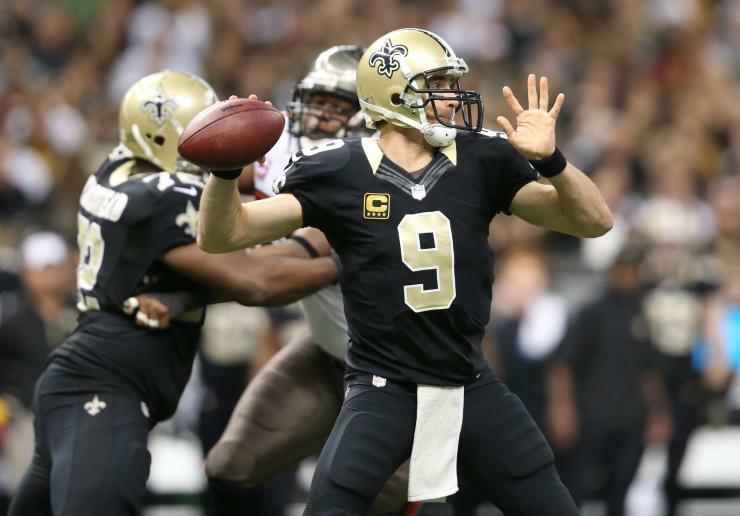 Drew Brees has proven himself capable of playing well against any defense over the years. Alvin Kamara has the speed and elusiveness to turn any play into a big gain. Wide receiver Michael Thomas has been an incredible weapon this season. Ted Ginn Jr. proved Sunday against the Panthers he still has big-play ability. Whether the Saints move the ball will not matter much if their defense can’t handle Case Keenum and company. Losing Dalvin Cook early in the season hurt, but Latavius Murray and Jerick McKinnon have been able to do enough for the Vikings run game to rank seventh in the league (122.3 yards/game). But the Saints defense will really have to watch out for Keenum and his three favorite targets—Adam Thielen, Stefon Diggs, and Kyle Rudolph. Around 60 percent of Keenum’s throws went to them of which they caught 66 percent. 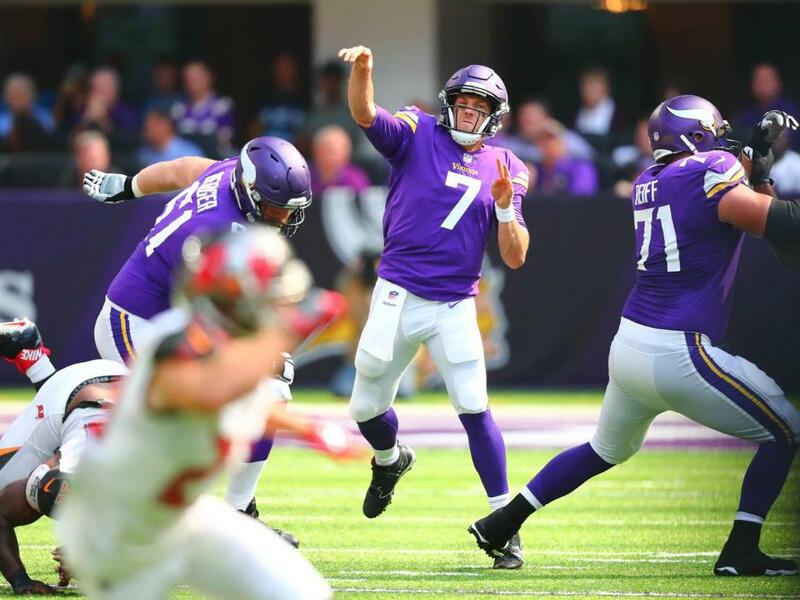 Keenum is having a career year with new highs in completion percentage (67.6), yards (3547), yards/attempt (7.37), touchdowns (22; had 24 career touchdowns spread across four seasons and 26 games), and his rating (98.3). Regardless of how the divisional round game goes, someone (if not the Vikings) is going to pay him very well next season. Of course, if he can shred the Saints defense, he’ll be paid very, very well. This could very well be the best game of the weekend. Both teams can run the ball, both can pass it, and both have capable defenses that can stop the other from doing anything. On paper, the edge must go to Minnesota since their defense is so much better than the Saints defense. But the Saints have an experienced, savvy, playoff-tested quarterback and head coach. What that experience brings can’t be measured. While Brees has been tested over and over again during his career, playing in January is something new for Keenum. Will he be up to the challenge? Can he handle the pressure? Will he make a mistake? Minnesota is favored by four. This game is going to be close. But if you must bet, take the Saints and the points.